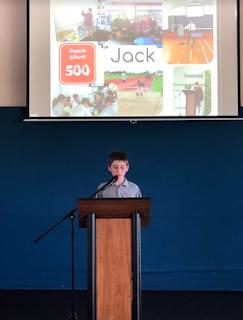 For the past 2 weeks, the 2018 year 7's of Panmure Bridge school have been preparing a speech to show that they have the leadership qualities to make them the next leader for 2019. There are 4 roles that a year 7 can take responsibility of, the head student role, Manaiakalani leaders, the sports leaders, and the projector monitor. I wanted to become head boy or just in case, Manaiakalani leader. This blog post shows an image of my presentation, and includes the entirety of my speech at the very end. I looked up to in particular. Seeing them present every week allowed me to see them as role models that I could follow. you are limited in what you can do. Without trust you cannot be seen as a good leader. I try hard to always follow our CARE values and am always happy to take on responsibility.